I have recently updated my How To Paint Trees in Watercolor Booklet. 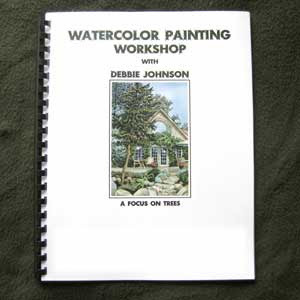 It is chock full of techniques, step-by-step instructions and photos for painting trees in watercolor. You can now purchase this little gem on my etsy webstore. If it's sold, just send me an email and I will post it again! You can either have it shipped as a booklet or you can have it sent to you as a pdf file and print it yourself.